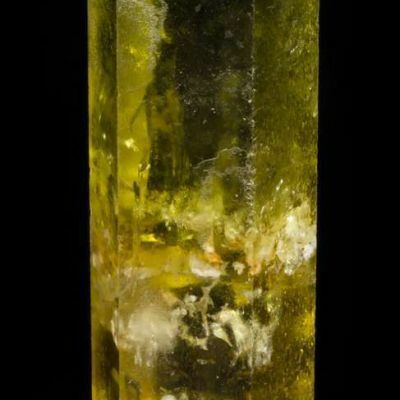 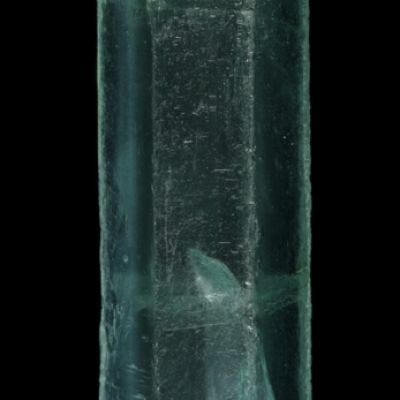 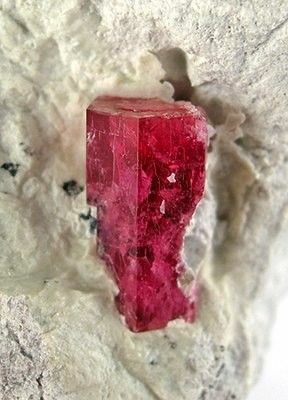 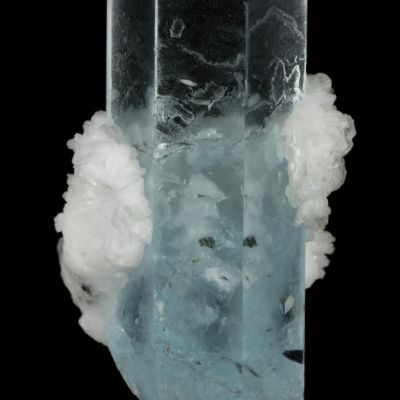 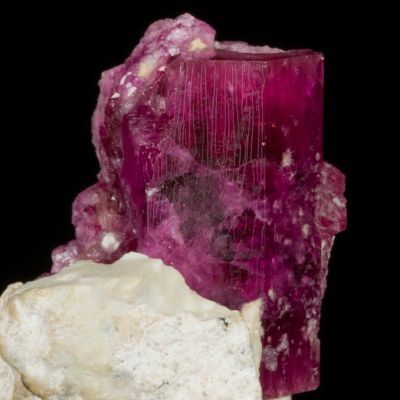 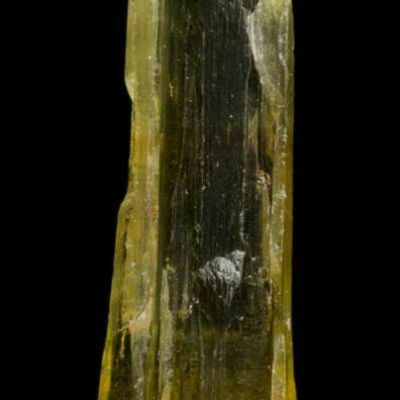 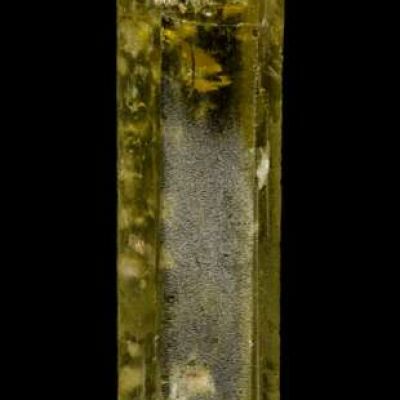 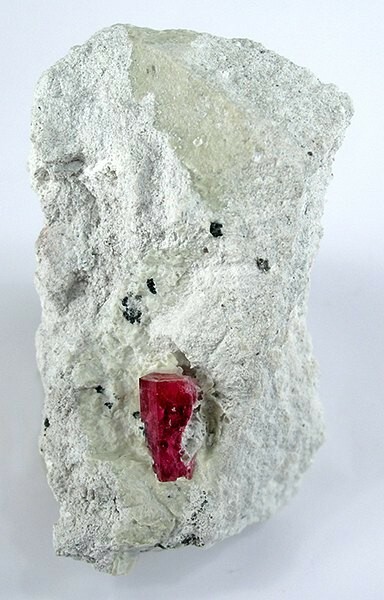 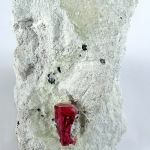 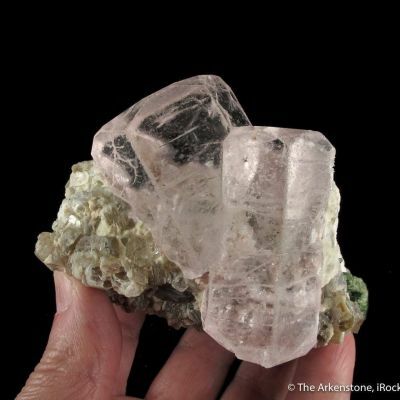 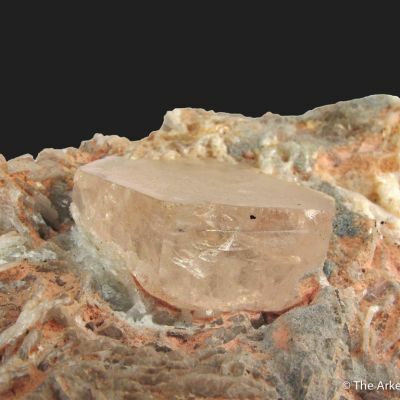 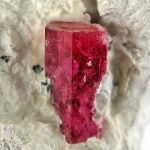 A 1.2 cm, well-terminated, gemmy and lustrous, gooseberry-red beryl crystal attractively set in contrasting snow-white rhyolite matrix from the famous Violet Claims, Wah Wah Mts., Utah. 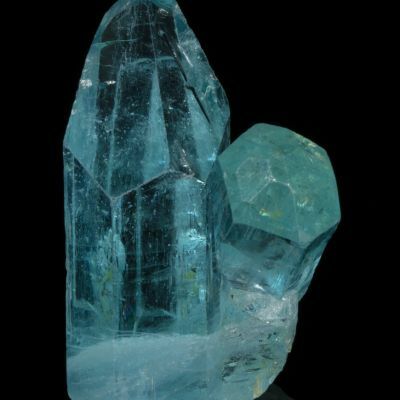 The crystal has excellent color and gemminess. 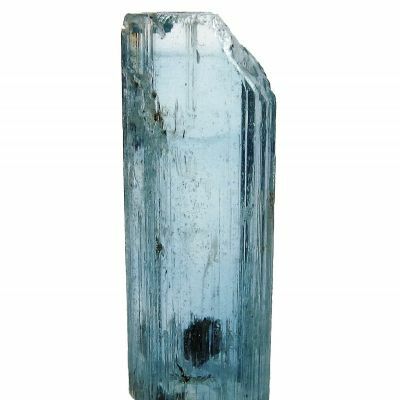 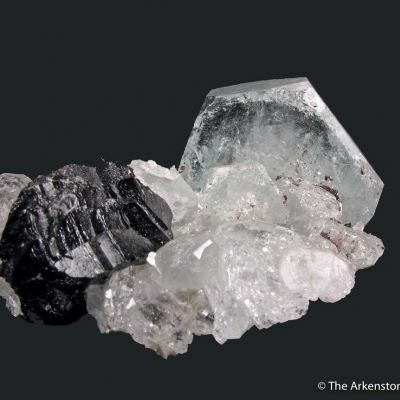 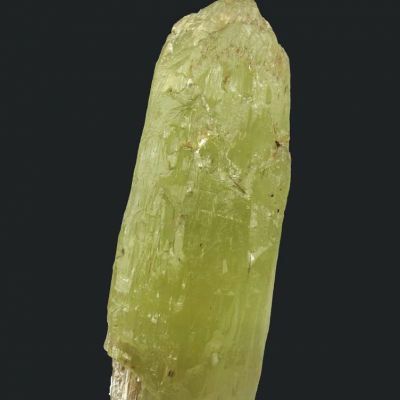 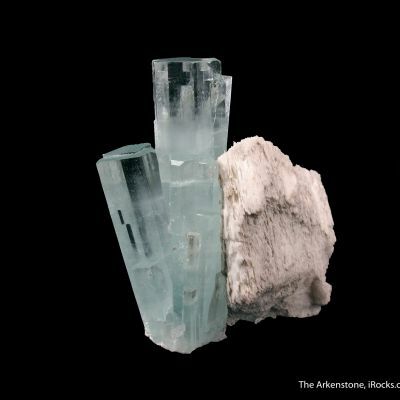 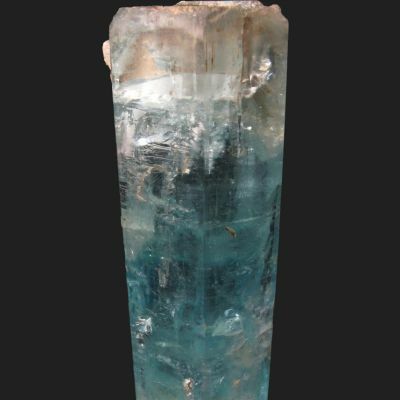 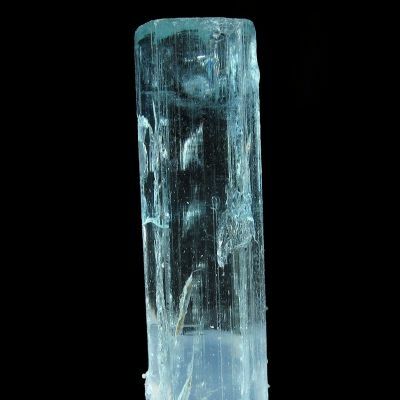 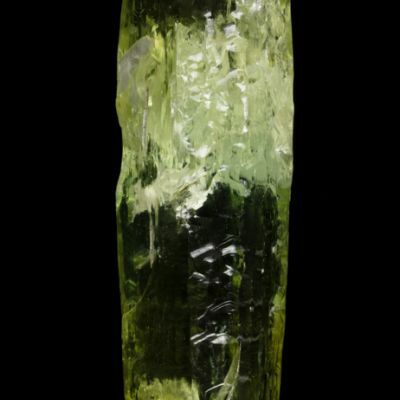 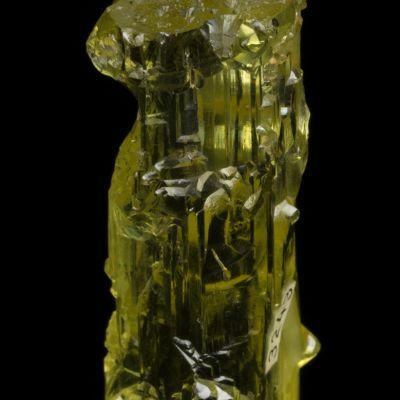 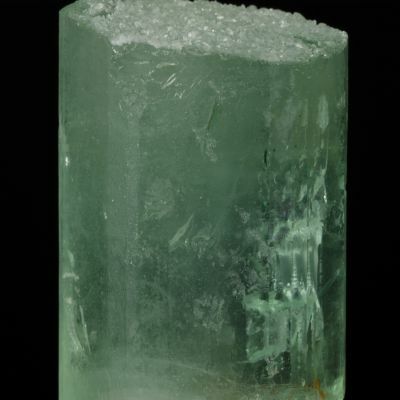 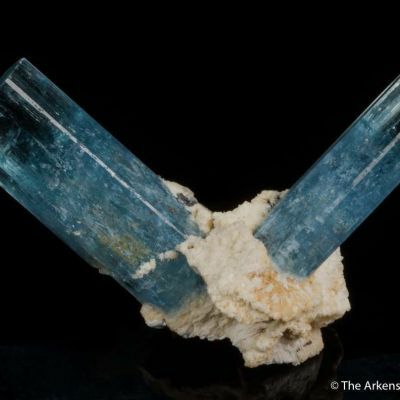 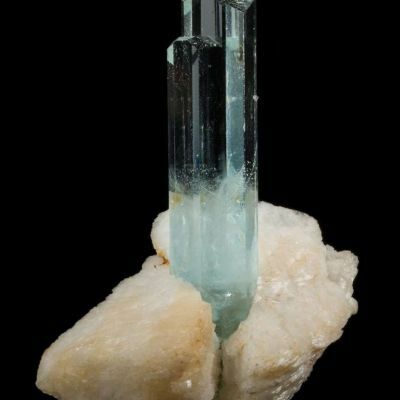 Highly representative of this rare beryl varietal.